Of Mastery and Time is an exhibition of timepieces featuring several rare artisanal crafts, including a handful unique to Hermès in watchmaking, like engraved crystal and millefiori glass. The exhibition runs from 25 September till 5 October. Hermès will present its metier d’art timepieces in an exhibition titled Of Mastery and Time, running until 5 October. 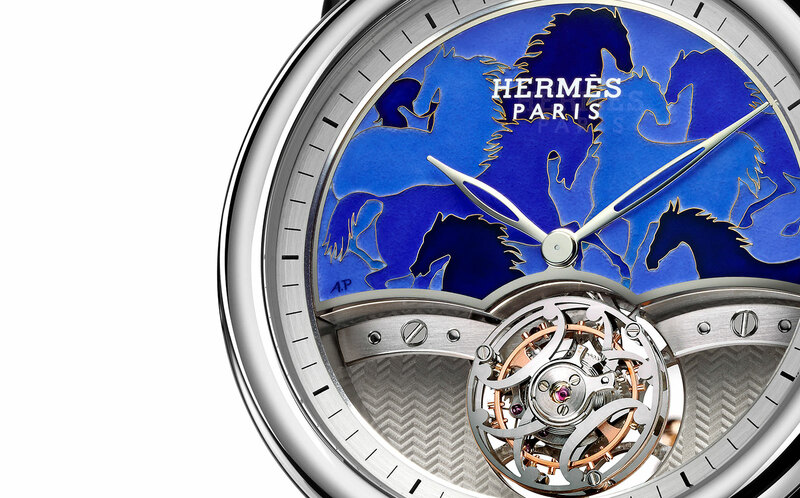 Rather than complications, it is a showcase of Hermes timepieces decorated with a variety of techniques. The exhibits include exquisite timepieces with enamel dials by Anita Porchet. 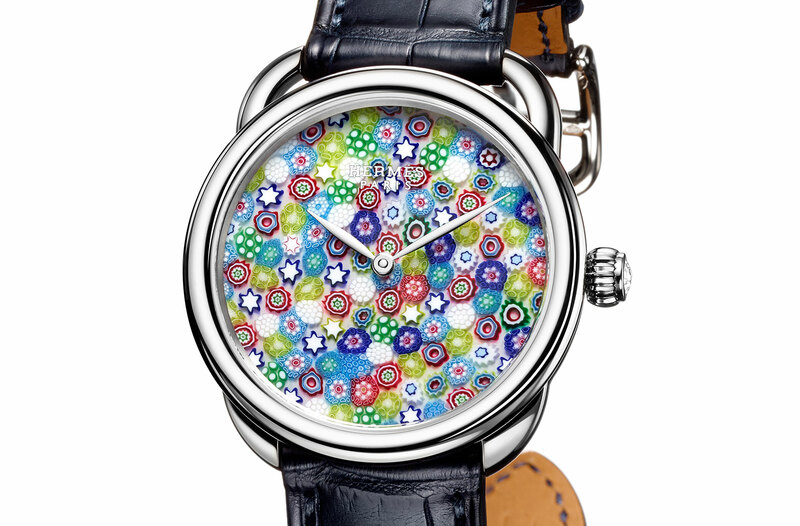 More unusual and used only by Hermès is the Arceau Millefiori. This features a dial made by glassmaker Cristalleries royales de Saint-Louis, comprised of thin slice of fused glass that forms a brilliantly coloured flower motif – Millefiori is Italian for “a thousand flowers”. 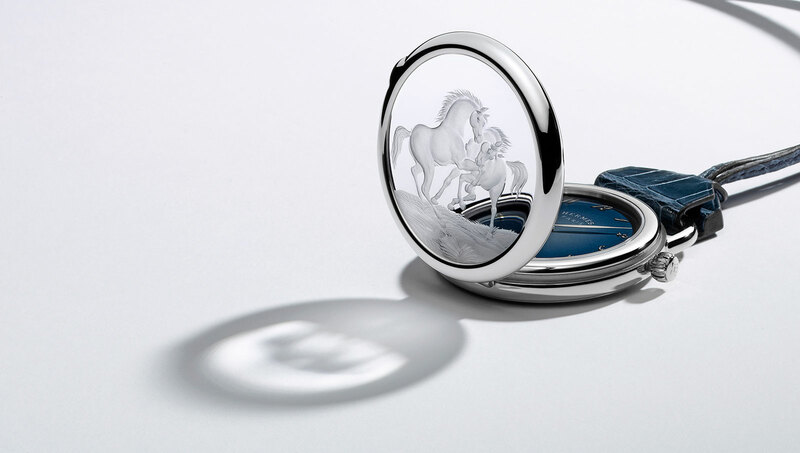 Also unique to Hermès is the Arceau Pocket Chevaux sauvages, a pocket watch with a fired enamel dial and a front lid in clear crystal engraved with a horse motif. Each cover is engraved by hand on an abrasive wheel and takes 15 days to complete. 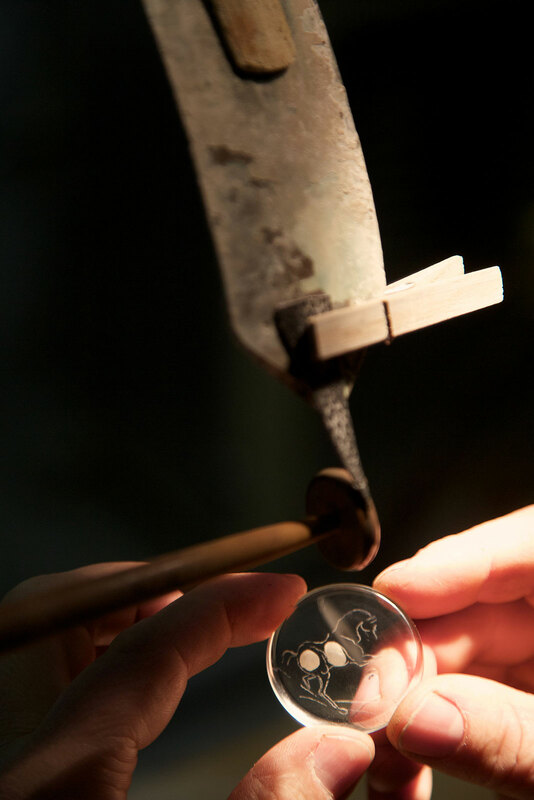 For the first five days of the exhibition, 25 to 28 September, a crystal engraver from the Czech Republic will be present to demonstrate his craft with a small lathe and abrasive wheel. Also on display are Hermès’ signature complications like the Dressage L’heure masquée and Hermes Arceau Le Temps suspendu. Of Mastery and Time is situated on the ground level of Scotts Square on Scotts Road, open to the public from September 25 to October 5 from 11 am to 9 pm daily.